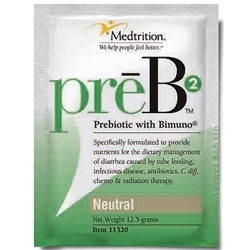 PreB2® should be used under medical supervision. Used orally or by tube feeding to assist the beneficial bacteria found in the gut. Gluten Free. Low Residue. Low Fat. Low Sodium. Supplement. Ingredients: Xylitol, Bimuno (Trans-galactooligosaccharide, Lactose, Glucose, Gum Acacia, Galactose). 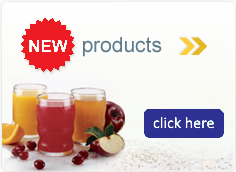 PreB2® is suitable for adults and children 5 years and older. Oral: PreB2 can be added to everyday food and drink: coffee, cereal, yogurt, juice, coffee and tea. Children over 12 and adults, one packet daily. For children 5 to 11 years of age, ½ packet daily. Since benefits build over time, a daily intake is recommended.